Memorial Belltower and spring blossoms. Spring is here and we have news to share! 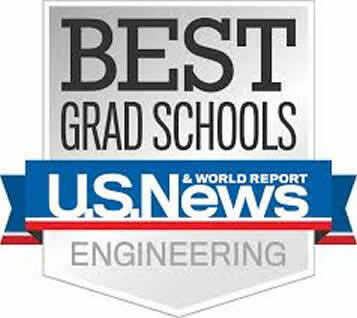 The 2019 US News & World Report ranks us #3 among nuclear engineering graduate programs in the nation. And the 2018 Best College Reviews ranks our online Master of Nuclear Engineering #1. 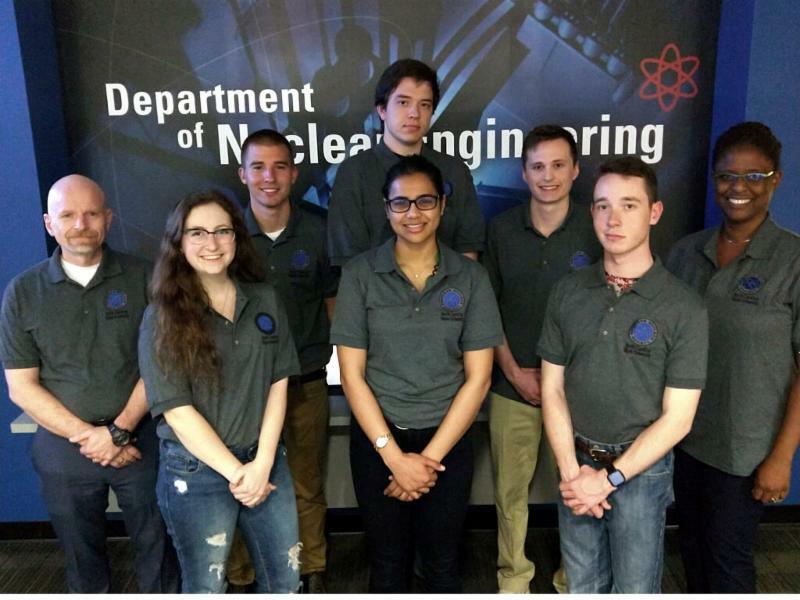 It continues the tradition of firsts, the 1 st Nuclear Engineering (NE) program with the 1 st civilian university reactor in United States, and currently the largest stand-alone NE department with a research reactor in the southeast United States. In last few years, with strong support of our College of Engineering (COE), we’ve experienced steady growth and have attained an outstanding reputation. We’ve increased the number of faculty and graduate students and have established new research units and experimental laboratories. Currently we have 19 tenured/tenure track faculty with 2 expected positions in the upcoming academic year. Our faculty, staff and students have been recognized for numerous international, national & university awards and leadership appointments. Our sponsored research funding has steadily increased and for July 2017 through June 2018 we had $18.05 million in grant expenditures and received $11.36 million in grant awards. Our senior design teams have been working on real-world topics with industry & national lab sponsorship. Our teaching and research labs, student spaces and conference rooms are being continually enhanced. And we have established a minor in health physics. I hope that these snapshots of current and future activities wet your interest. And on the NCSU Day of Giving, March 27, and beyond you help your development continue to excel. 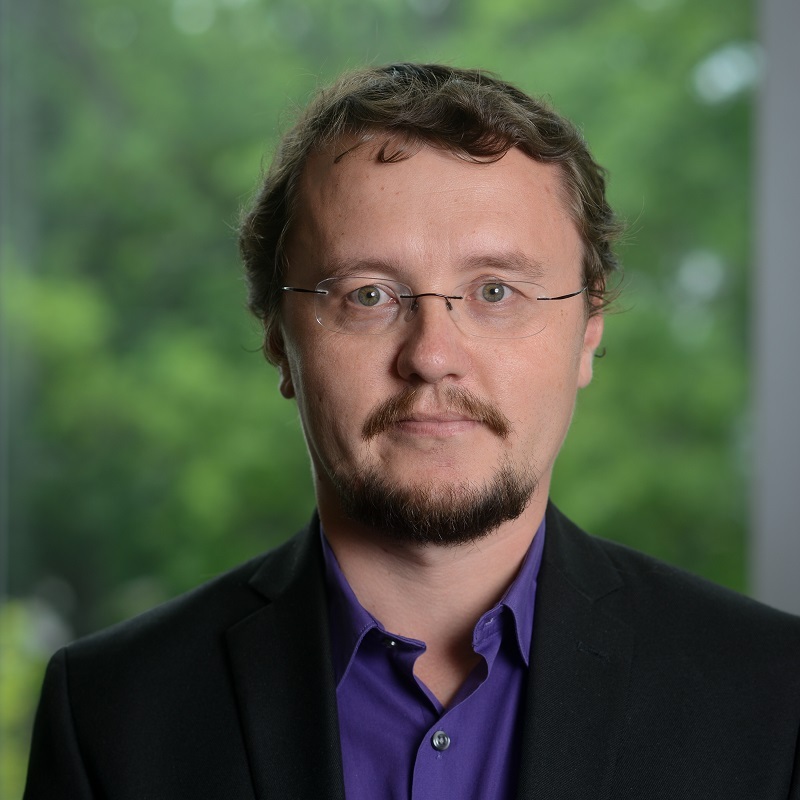 Congratulations to Dr. John Mattingly, Associate Professor in NC State’s Department of Nuclear Engineering , he was selected as one of NC State’s 2018-19 University Faculty Scholars. John is the Principal Investigator and Chief Scientist for the Consortium for Nonproliferation Enabling Capabilities (CNEC). 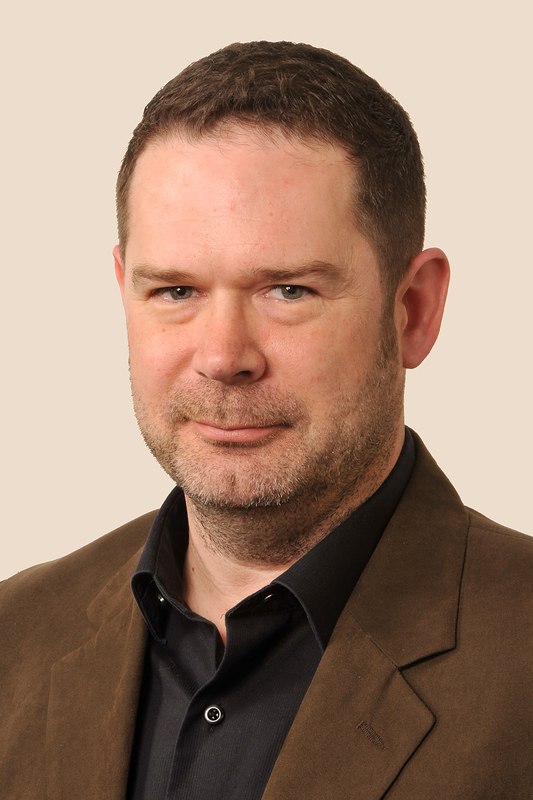 He also leads the RADIANS research team of graduate students, undergraduate students and postdoctoral scholars. 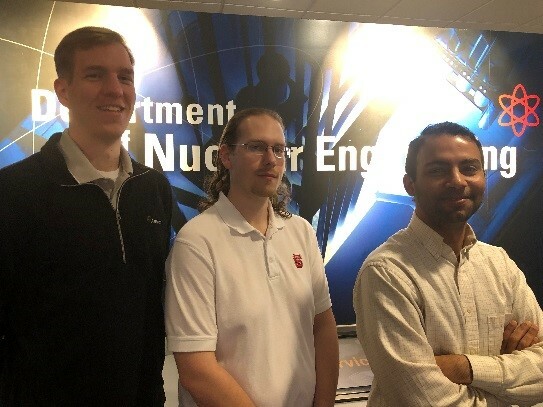 Their projects apply modeling and simulation to analyze nuclear radiation measurements for nuclear security applications, including arms control, safeguards, nonproliferation, counter terrorism, emergency response and forensics. Congratulations to Dr. Mohamed Bourham , 2018-19 university-level Outstanding Teacher awardee. Through NC State’s Office of the Executive Vice-Chancellor & Provost, this award recognizes excellence in teaching at all levels. 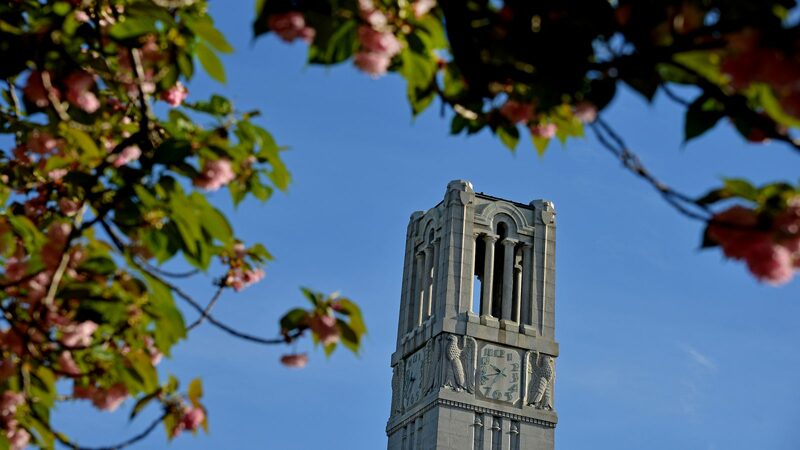 Recipients become members of the Academy of Outstanding Teachers for as long as they remain at NC State and their names will be published in the commencement program. Dr. Bourham, Alumni Distinguished Graduate Professor of Nuclear Engineering, joined the university in 1987. He earned his B.Sc., M.Sc. and PhD from Alexandria, Cairo and Ain Shams universities in Egypt, respectively, in Electrical Engineering. 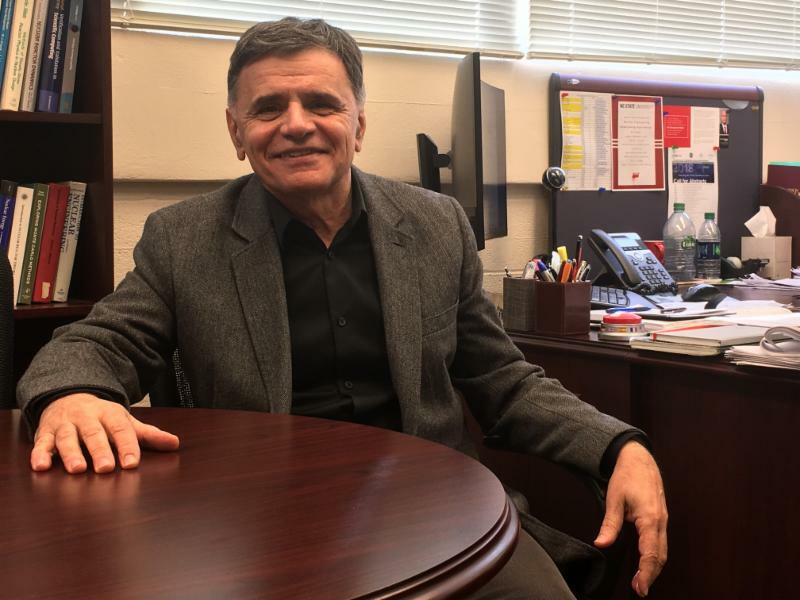 He has taught a diverse number of departmental courses and has successfully obtained educational grants from the U.S. Department of Education and the U.S. Nuclear Regulatory Commission in support of undergraduate and graduate students. 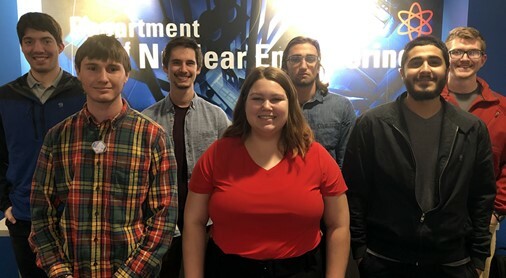 The 2019-20 U.S. Department of Energy Nuclear Energy University Program (NEUP) scholarship and fellowship awardees includes eight of our undergraduate students and three graduate students. Through the Integrated University Program (IUP), the U.S. Department of Energy awards more than $5 million for 45​ undergraduate scholarships and 33 graduate fellowships to students pursuing nuclear energy-related disciplines at universities across the country. NC State’s ANS Student Organizing Committee is busy preparing to host the 2020 ANS Student Conference. The dates are set for April 5-7, 2020. ENLIGHTEN ourselves about nuclear science and technology as we share and contribute to the field. This student conference brings us together to share insight from student and expert research. Nuclear science and engineering is ubiquitous in society – from energy, health, defense, non-proliferation, to name a few. This conference will provide the perfect platform to come together and learn about various ongoing cutting-edge research. In the year 2020, we aim to take stock of what we know, what we still need to know, what opportunities are present, and what the future holds. EMBRACE nuclear science and technology. As we learn, we support our industry by contributing knowledge and impacting the next frontiers across existing and new industries that nuclear will transform. EMPOWER ourselves and others with knowledge and enthusiasm for the impact made by nuclear technologies of the past, present and future. We will change the “not in my backyard” (NIMBY) mantra to one of “in my backyard” because of the benefits it provides to societies near and far. This theme allows us to see our collective role in active learning, living, and sharing associated with nuclear energy, health physics, plasmas for the life sciences & other industrial applications, nuclear non-proliferation, nuclear materials, nuclear computational science, reactor engineering and nuclear waste management to name a few broad areas. It also arms us with information to share with students and the larger public about the benefits we receive from nuclear science and engineering. We’re nuclear engineers, we’re innovators, and we’re ambassadors for the continued use of an awesome technology in our backyards! The US News & World Report published their annual rankings of best colleges. 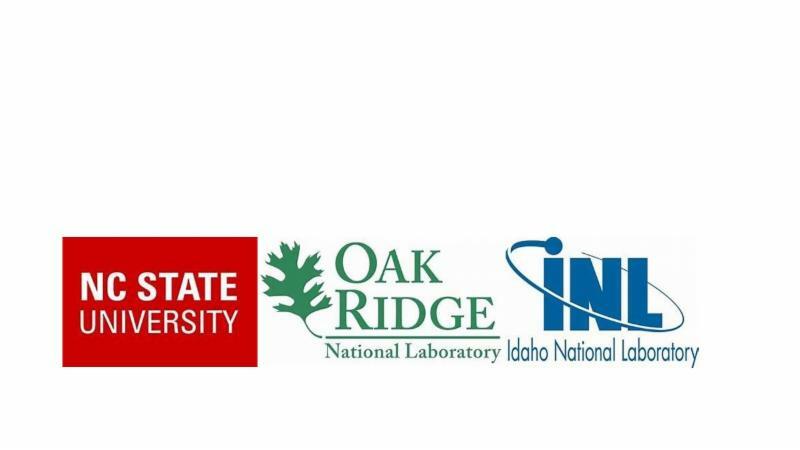 The Consortium for Advanced Simulation of Light Water Reactors (CASL) Education Program is excited to announce the registration for 4 th annual CASL Summer Intensive. 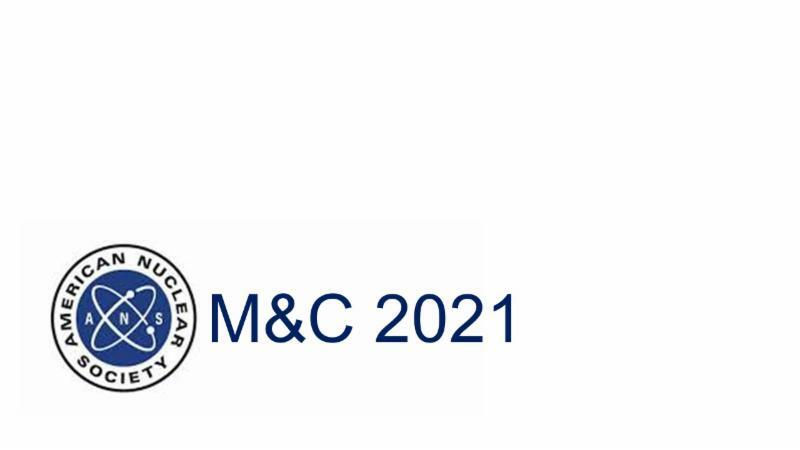 The Institute will introduce participants to CASL and the Virtual Environment for Reactor Applications (VERA) framework and component codes. Participants will receive instruction on radiation transport, thermal hydraulics, fuel performance, multi-physics coupling and sensitivity and uncertainty analysis. Through both lecture and practical work sessions, participants will learn how to use individual component codes through the VERA framework (MPACT, COBRA-TF, and BISON ) & will be able to run a variety of test problems. In addition, the Institute will include instruction on and practice in utilizing high performance computing resources.Through both lecture and practical work sessions, participants will learn how to use individual component codes through the VERA framework to run a variety of test problems. The application deadline is March 31.
includes such topics as nuclear energy, radiation detection & applications, computational science, nuclear materials, nuclear nonproliferation, nuclear waste management, science policy, etc. dates for 2019 are July 8 through 26 (check-in on July 7). The application deadline is April 30. Additional information, including a sample agenda & the online application link are available here. 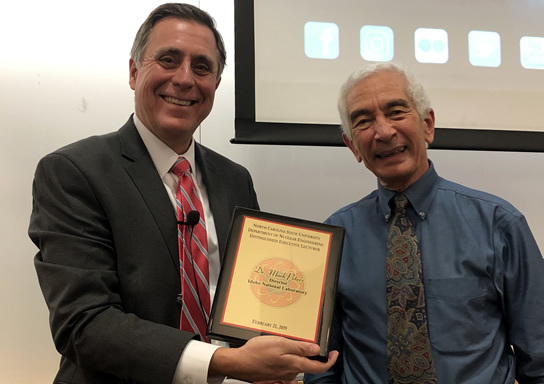 Dr. Mark Peters, Director at Idaho National Laboratory, gave our Progress Energy Distinguished Executive Lecture earlier this spring semester. 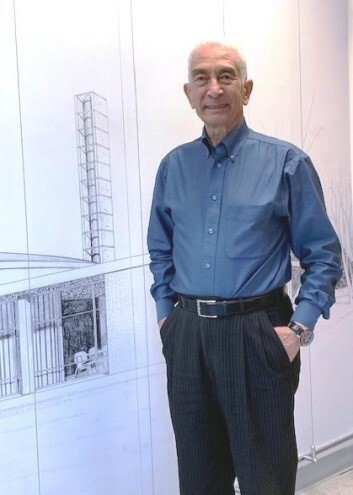 His seminar was entitled “What is the Future of Nuclear Energy?” The answer to that question, he postulated, will be determined largely by how we answer another: How do we meet future energy needs while mitigating climate change? If the goal is to decarbonize our power grid, manufacturing processes and transportation systems, while increasing the standard of living in the U.S. and providing power to the more than 1.3 billion people worldwide currently living without, nuclear energy must be part of a mix that includes renewables such as solar and wind. Through private-public partnerships and cutting-edge research conducted at Idaho National Laboratory, the U.S. is working to develop reactors that are safer, smaller, cheaper to build and operate, and that produce less spent fuel. 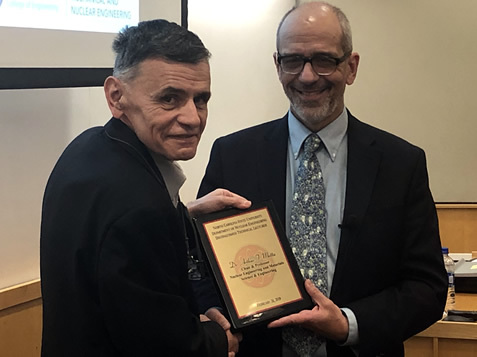 Dr. Arthur T. Motta, Chair of Nuclear Engineering at Penn State University, gave the Progress Energy Distinguished Technical Lecture this spring semester. His seminar was entitled ” Hydrogen in Zirconium Alloy Nuclear Fuel Cladding” . In face of increasing worldwide demand for electricity generation and the increasing concerns with the contribution of fossil fuel emissions to climate change, nuclear power is again being considered for further development in the U.S. and abroad. New reactor construction is being proposed using both evolutionary concepts based on the current fleet of light water reactors (LWRs) and advanced reactor concepts. The materials used in these reactors must maintain outstanding performance for years, or even decades, in an extreme environment, in which they are exposed to a combination of high temperature and pressures, aggressive chemistry and a constant fast neutron flux. As utilities and fuel vendors attempt to push materials to higher temperatures and doses many challenges become apparent, one of the foremost being hydrogen degradation of the nuclear fuel cladding. research in Germany this fall 2019. In providing the Humboldt Research Fellowships for experienced researchers, the Alexander von Humboldt Foundation enables highly-qualified scientists and scholars from abroad, who completed their doctorates less than twelve years ago, to spend extended periods of research (6-18 months) in Germany. Candidates are selected solely on the basis of the evaluation of their academic qualification. State & HZDR researchers to make advancements in the area of two-phase flow modeling and simulation. 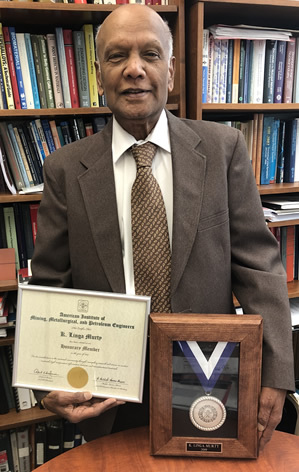 Congratulations to Dr. KL Murty , he has been selected as an honorary member of the American Institute of Mining, Metallurgical, and Petroleum Engineers (AIME). He received his AIME certificate and medal at The Minerals, Metals & Materials Society (TMS) annual meeting earlier in March. AIME Honorary Membership is one of the highest honors that the Institute can bestow on an individual. Established in 1872 and bestowed in appreciation of outstanding service to the Institute or in recognition of distinguished scientific or engineering achievement in the fields embracing, broadly speaking, the activities of the Institute. Dr. Murty is the Progress Energy Distinguished Professor of Nuclear Engineering and Director of Nuclear Engineering Graduate Program (DGP). 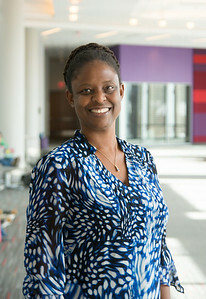 Lisa Marshall has been awarded the 2019 NC State Outstanding Engagement Award. 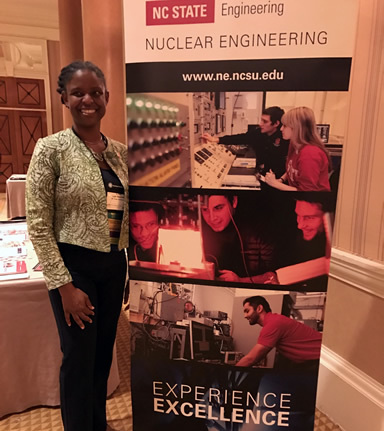 Our annual Nuclear Engineering Graduate Open House welcomed prospective students from across the nation to NC State. 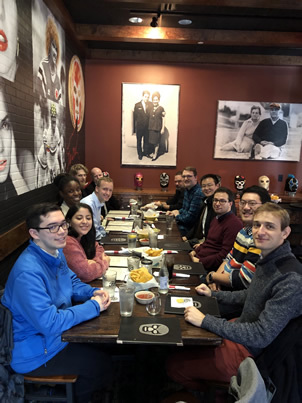 During their visit students met with prospective faculty mentors and current students to discuss their research interests. Students also had an opportunity to tour facilities – the PULSTAR Research Reactor, the Nuclear Engineering Simulator, nonproliferation, materials and plasma laboratories as well as the Analytical Instrumentation Facility (AIF). A visit to Raleigh would not be complete without experiencing the culinary delights, visiting potential on- & off-campus accommodations and a bit of sightseeing. Raleigh ranks among the best places to live, work and play . the next generation of NC State nuclear engineering students. Projects range from a Center for Student Learning & Innovation, scholarships & fellowships, outreach & engagement, pre-college programming and the list goes on. We’re also always interested in news from our alumni, partners and friends. And we’d love to reconnect with ‘lost’ alums, so if you know of someone who did not receive this newsletter, let us know how we can reconnect with them. And above all do share this newsletter far and wide (family, friends, listservs etc) . Thanks to all faculty, staff & students for contributing.